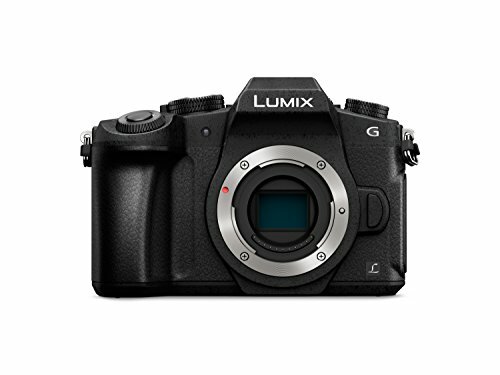 As an overall package, however, the Panasonic Lumix G80 cements the company's position as one of the market leaders. It's a strong performer with a great specification for the price point. That is exactly what will lure people to it. And rightly so. Panasonic has put out a full spread of compact system cameras, with the Lumix G80 (or G81 in Germany; G85 in other territories, just to confuse the bejeezus out of you) filling the DSLR-style gap left open when the flat-design GX80 launched earlier in the year. Featuring 4K video capture, 5-axis image stabilisation, a super-quiet shutter and plenty of practical features from its DSLR-like layout, the G80 has stacks of appeal. Indeed, this camera offers much the same spec of the once top-end Lumix GH4, but at a cut of the price. However, with so many G-series cameras now in Panasonic's range does the G80 earn its place as compact system camera royalty? One glance at the Lumix G80 might leave you wondering whether it makes sense to have this camera present in the range in addition to the Lumix G7. It does given the newer model is more advanced in various aspects, but we do think the G7 should have been booted out of the pack. The other question that might spring to mind is whether the G80 is for you, or the flat-design GX80 is more fitting. Well, this all comes down to style preference. Both 16-megapixel cameras feature built-in 5-axis dual image stabilisation technology to help support against camera shake. The G80 does have a new and even quieter shutter unit - but both are so quiet (and both cameras offer electronic shutter for silent operation) so that this might not be of consequence. So it's all down to design, with the G80 looking a lot like a mini-DSLR. If you want all the dials and buttons at short reach then the G80 has all you'll need: dual thumbdials, a mode dial, continuous shooting dial, even distinct controls for single/continuos autofocus sit on the back. Five numbered function (Fn) buttons also allow for customisation, so you can setup and shoot with the camera as you please. However, of these controls the front dial's new design falls a bit short. We're used to using the GH4, which has a front dial set back into its body, but the G80 has a much more exposed dial - which is really easy to knock by accident. We've often made adjustments without realising until later, to the detriment of the results. The dial might look better, aesthetically speaking, and often feels better positioned - but we'd rather it be trickier to knock. Another oddity, perhaps, is a sixth unmarked function button mounted in the centre of the rear thumbwheel, which feels impractical to press when holding the camera up to the eye. By default this doubles-up the thumbwheels' controls - front for white balance and rear for ISO, instead of the typical aperture and shutter speed controls - in a similar manner to the 2x2 level found in some of the Olympus OM-D range (including E-M5 II). The idea is great, but we never really got accustomed to using it, so it remained untouched - again different positioning would probably work to its advantage, to make it a more primary feature. Although the design might not look hugely inspiring, it does benefit from weather-proofing. As we found during initial testing (at London Zoo with a pre-production model back in June 2016) a delightful British downpour proved of no consequence as the G80 is both splash and dust resistant. And it sure did survive a soaking, no problems asked. Since we've been using a final production G80 paired with a 12-35mm f/2.8 lens over in Japan, where humidity and general robot craziness has also proven no issue. Now we typically use a Panasonic Lumix GH4 for the lead shots on this very website, because it's both capable and portable. Having switched to the G80 for a few weeks, it's impressive how well it translates. Because the G80's autofocus is actually more refined in use than the GH4 (which, equally, indicates that it's time for us to update the GH4's firmware). There are a multitude of focus types available - from face detection and tracking automated options, through to 49-Area, Custom Multi, 1-Area and Pinpoint AF. The last of which we use for most still shot compositions, as it zooms in on a crosshair to 100 per cent scale on the rear screen to pinpoint the focus with accuracy. In the G80 this seemingly hunts even less than the already speedy GH4, with the lock-in final focus that much more refined than before. It can get confused if there's a lack of contrast, but that's pretty rare. It still makes us wonder why competitors lack this degree of precision. Even the G80's continuous autofocus system (which can be quick-selected via the rear dial) has done a pretty decent job. When shooting a robot dance show (yes, you read that right), a sword-yielding girl was captured sharply even in tricky lighting conditions. However, the camera's 6fps maximum burst rate felt a little laggy in pressing the shutter to getting the final shots displayed. And there are other (admittedly pricier) compact system cameras out there that can reel off yet more shots in tighter bursts. On the back of the G80 a fully vari-angle LCD touchscreen joins a built-in OLED viewfinder, the latter offering a 2,360k-dot resolution and large 0.74x magnification. It's impressive how high-spec even £700 camera bodies have become these days. Both screens work a treat. We've become particularly accustomed to using a variable screen these days for waist-level work, so much that it makes us find using modern DSLR cameras that bit tricker these days. And because in a mirrorless camera there's no compromise in focus speed between screen and viewfinder, shooting is super fast - and the touch-to-focus option is particularly useful. The G80's new shutter mechanism is ultra-quiet too. Indeed it's the quietest we've heard (or not heard) in a system camera to date - we've even sat it next to a GX80 to compare. Plus, if you want no sound whatsoever then an electronic shutter means there's no shutter movement at all, for wonderful silence (up to 1/16,000th sec - which is useful, but can cause issues with flicker in certain scenarios). Ultimately the G80 is much like the GX80 in its imaging ability (although Panasonic cites a 10 per cent improvement by comparison). There's no low-pass filter on board either camera, which would act as the diffusion layer that typically features in cameras to negate jaggies and moire. Its absence heightens the likelihood of these instances - but we've not had any issues. Plus there's that extra sharpness for greater detail straight from the camera. And that's one of the key things about the G80's images: their clarity. A still life shot of a statue in a park (ISO 200 - click for a 100 per cent crop sample image) or a giant "tax free" penguin plaque (ISO 400 - click for 100 per cent) retain ample detail to be usable at a large scale. Oddly, though, there's no ISO 100 option from this sensor - an ongoing disappointment we've long had with the G-series range, but perhaps not a massive issue given the 1/16,000th second electronic shutter option. Even a snap of a statue on Tokyo's back streets at night (ISO 1600) has held in the precise detail, with image processing not causing issues with the finer points. Up the sensitivity to ISO 3200 levels and there's barely a subtle undercurrent of image noise - nothing too drastic. A shot of some soy sauce and vinegar (ISO 3200) shows how fine detail remains, with deep blacks and no untoward colour noise even in the mid-grey background panels. Those blacks are really clean: another shot of a Naim Mu-so Bentley special edition speaker (ISO 3200) shows just how rich shots can be from a camera such as this. At ISO 6400, however, the degree of processing increases the mottled effect to a pronounced degree, with our shots then lacking the same degree of finery. Shots (such as this giant robo dragon) just aren't as jaw-dropping as a high-end DSLR like the Canon 5D Mark IV, say, but pound for pound that's hardly a sensible weigh-up to compare anyway. One of the G80's core features is its in-camera stabilisation. It's handy when trying to ensure sharpness - and particularly useful for still objects when you want to use a lower shutter speed without compromising the result. It conjunction with the lens-based stabilisation (hence "Dual IS") the results can be almost felt in-hand. By using a gyro sensor to detect the direction of camera shake, the G80's combination of stabilisation systems (both of which are mechanical) can be actioned in the most proficient way. Not even the top-end GH4 offers that (we suspect the GH5, due in 2017, will follow suit though), which, ultimately, makes the G80's stabilisation system the best Panasonic setup available. There are some caveats, however. The on-sensor stabilisation maxes out at the 100mm mark because the physical movement of the sensor can only be so extreme, and as focal length increases that movement becomes amplified to compensate (eventually running out of available sensor). Additionally, as the sensor is essentially "floating" via magnets there's a very quiet hissing sound. You'll rarely notice it, but we certainly did when in Audio-Technica's anechoic and RF testing chambers. Which just also happen to look incredibly cool, as you can see from the above image. Which brings us neatly to the camera's video capture capabilities. And the G80 offers 4K capture - in both in stills (4K Photo) and video formats. Panasonic has been pushing this idea of still 4K images for a while: that 4K video clips can be captured and each frame made available as an 8-megapixel image, so you won't miss a second. There's even a pre-burst option to capture a second of footage before even fully pressing the shutter. New this time around, though, are Post Focus and Focus Stacking options, where the camera takes multiple frames at different focal depths which can be used for touchscreen-based refocus after shooting, or the merger of select images to select the in/out of focus depth. What's nifty about this is that it can be done inside the camera, so there's no need to fiddle about with software on a computer (which is so often slow). Video-wise 4K capture can be saved straight to the SD card (in 2:2:2 8-bit), or there are 1080p options to choose from. We've been impressed with the video capabilities - especially when shooting a live band dressed in robotic Daft Punk-style gear (don't ask) - and the ability to use the touchscreen to make focus adjustments with ease. Although you might want to mount the camera for the smoothest results, plus the stabilisation system is limited to electronic adjustment only here - which is an area where the new Olympus E-M1 Mark II ought to exceed this Panasonic's capabilities. The Lumix G80 might not be the most visually exciting camera in the world. Its DSLR looks are harmless, though, it's just perhaps not as eye-catching as the subtleties of its GX80 brother. The presence of this camera alongside the G7 also muddies the G-series lineup, which could be confusing when posed with the conundrum of which to buy. But when posed with that question the G80 ought to come very high on your shopping list indeed. With features that put it almost on par with the top-end GH4, albeit at a cut of the price, the G80 is every bit the do-it-all system camera. And we don't mean it's just a jack of all trades. The G80's 5-axis stabilisation, pinpoint autofocus, vari-angle LCD touchscreen, ultra-quiet shutter mechanism, decent image quality and the potential to capture 4K video give it plenty to shout about too. On the downside it can be bettered from its ISO 6400 sensitivity, while that easy-to-knock front dial sees us lean towards the GX80's simpler overall design and casual looks.